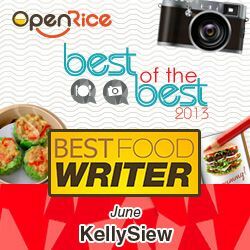 Whoa… totally partied out after last night’s Time Out KL Food Award Ceremony. Will blog about it in due time but before then I still have a few recipes to share. I suppose coming back from a long hiatus means an abundance of long overdue food posts but I promise to keep it fresh nonetheless. Having said that though, Chap Chae is one of those versatile dishes you can make as you can add beef or any other meat (seafood too) to it, or you can make it totally vegan. Which was why I’ve chosen to cook this. I also love the translucent noodles and the lovely bite to it. Totally addictive. 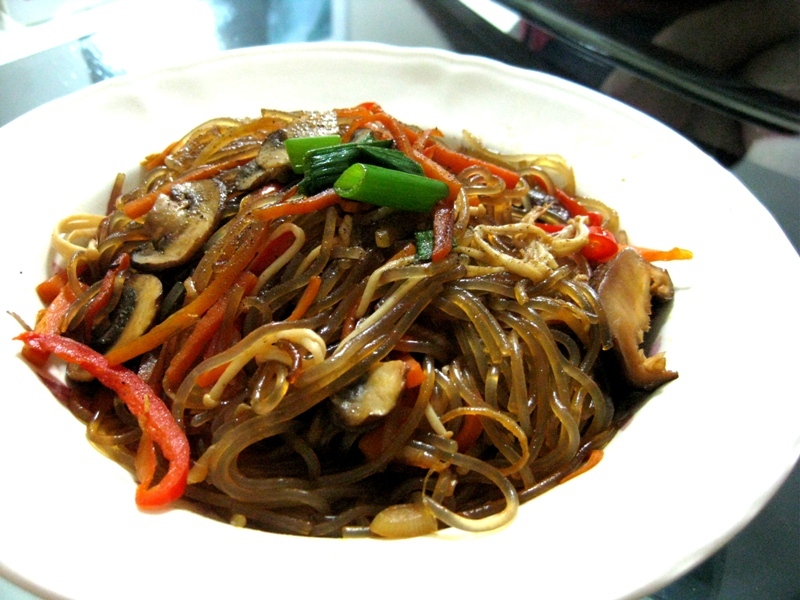 Since the noodles are made of sweet potato starch, it’s also relatively guilt free! And once again it’s a really simple dish, and can be prepared in under 30 mins, makes for a perfect weeknight dinner don’t you think? Add the noodles to a large pot of boiling water, and cook until tender (about 5-7 minutes). Strain the noodles, shock in a bowl of ice water, and drain. Using kitchen scissors, cut the noodles into bite-size pieces, then transfer to a large bowl. Season the vegetables with salt and lots of black pepper. Heat the grapeseed oil in a large sauté pan, add the onions and peppers, and cook until the onions become soft. Add the carrots, mushrooms, scallions, and garlic and pan-fry until cooked. 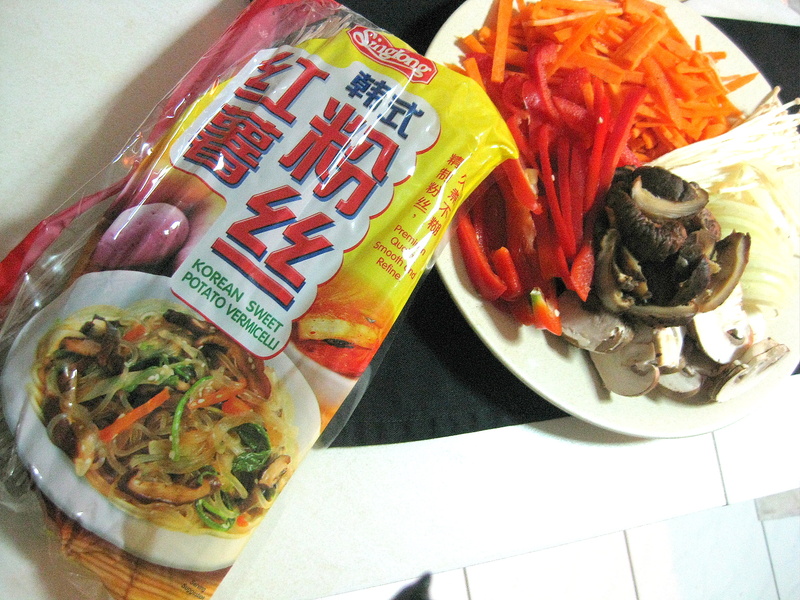 Deglaze the pan with mirin, and add the noodles to the pan, mixing the noodles and vegetables thoroughly. Stir in the soy, vinegar, toasted sesame oil, and season to taste with salt and pepper. Sprinkle with sesame seeds and serve hot or at room temperature. So what is your favourite Korean dish then?? Mine’s definitely Pork Bulgogi, hehe. And are you ready for a bunch of really sinful dishes? Woa!looks delicious,where did you purchased the noodles from in malaysia?? You can get them from supermarkets like Cold Storage or Village Grocer. Those that would stock Korean ingredients. Hope that helps.